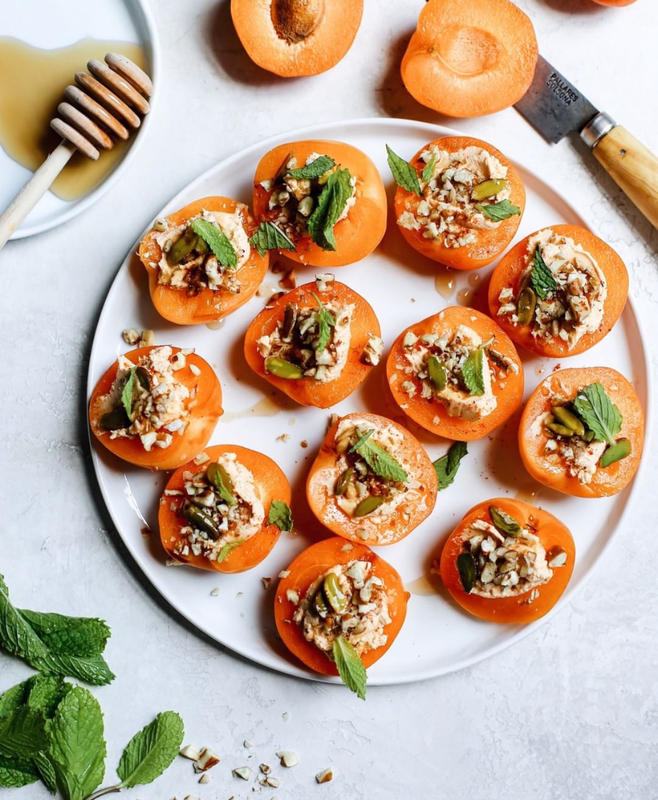 Sweet apricots stuffed with fresh goat cheese, topped with nuts for crunch, and finished with herbs and a drizzle of honey. This is @thedaleyplate‘s favorite summer appetizer — for good reason! The cheese flavor, herbs, and nuts can easily be swapped for your favorites. Recipe and photo by @thedaleyplate. 6 apricots — the sweeter, the better! Slice the apricots in half and remove the kernels. Using a teaspoon, stuff each apricot half with Sgt. Pepper. Top with pistachios and drizzle with honey. Tear mint leaves, if desired, and place atop each piece. It’s as easy as that!